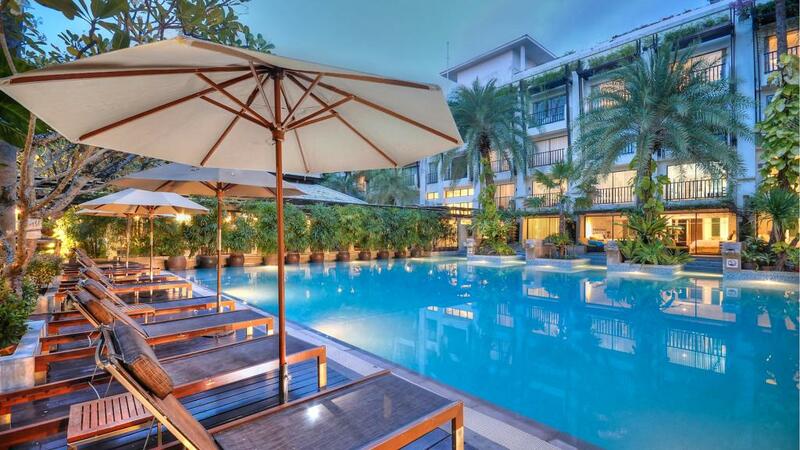 Located just moments away from Patong Beach this Phuket accommodation is also close to shops, restaurants and entertainment. Burasari Phuket features fantastic on site facilities including two swimming pools, a day spa, restaurant & bar and free WiFi. If you are looking for somewhere offering a tranquil escape while still being close to the hustle and bustle look no further than Burasari Phuket. Burasari Phuket offers a prime location just moments away from the popular Patong Beach & nearby to many restaurants, bars, markets & shops. This Phuket accommodation is suited to couples looking for a tranquil escape, offering great on site facilities including swimming pools, dining options, free WiFi, day spa, swim up pool bar & more. Burasari Phuket is a top holiday choice for couples looking for somewhere to relax & unwind yet still being close to the hustle & bustle that Patong has to offer. Just a short walk to the beach & surrounded by shops, entertainment, nightlife, cafes & more is this popular Phuket accommodation.